Unique amber-coloured malts determine the basic flavour of PALM: mild caramel flavours with a honey-like mellowness. The malting process adheres to PALM’s specific instructions, which aim for the natural caramelisation that gives the beer its specific flavour. The aroma is determined to a significant extent by yeast. Through intensive selection, the Van Roy family has amassed a lavish collection of the various yeast strains, each of which gives the beer its own fruity character. 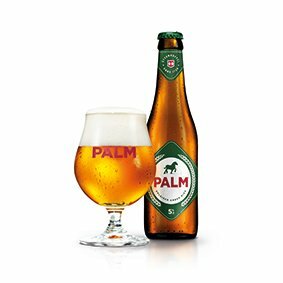 PALM is fermented with a specific yeast strain which provides a distinct banana fruitiness.